Duration: 7 mins, 31 sec. Recorded/performed at: St. John's Anglican Cathedral, Brisbane, on Feb 08. 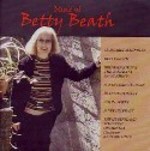 CD: Adagio for string orchestra, lament for Kosovo ; Allegro vivace / Betty Beath. Score & Part: Lament for Victims of War : for string orchestra / music by Betty Beath.